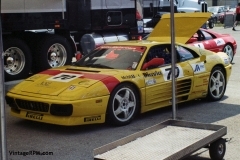 On September 8, 9, and 10 of 1995, the International Motor Sports Association (IMSA) came to Texas World Speedway (TWS) in College Station, Texas, for the Seitel Texas World Grand Prix presented by Ferrari of Houston. 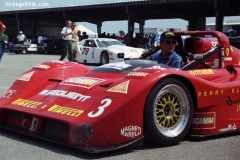 The weekend would consist of a 6 hour Street Stock race, a Barber Dodge race, two Ferrari Challenge races, and the 3-hour headline race for the Exxon World Sport Car Championship and Exxon Supreme GT Series. 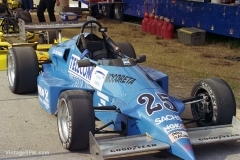 TWS had been newly refurbished and this was the first major race to be held there in about 15 years. 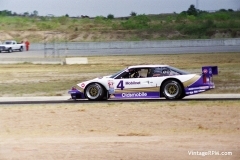 Being an “infield road course” that used part of the track’s oval, it is not one of the most photogenic facilities. Although the grandstands were a great place to watch the race from, as you could see the entire track from there, the infield had few areas to photograph the race without a very long lens (which I did not have). 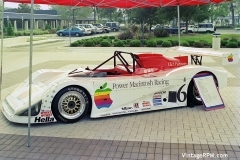 1995 Seitel GP Sunday Barber Dodge race. 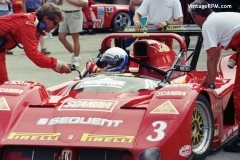 1995 Seitel GP Sunday WSC race.